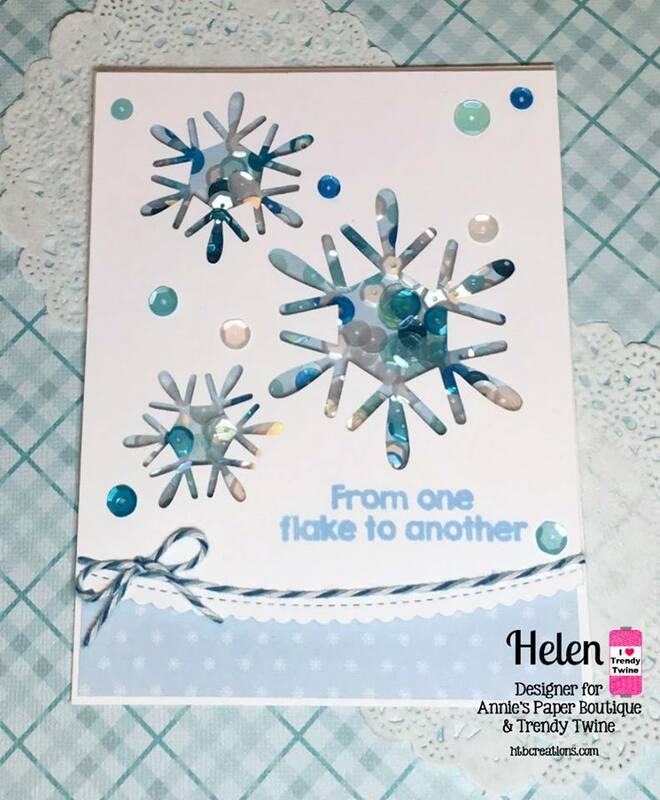 I made a snowflake shaker card. 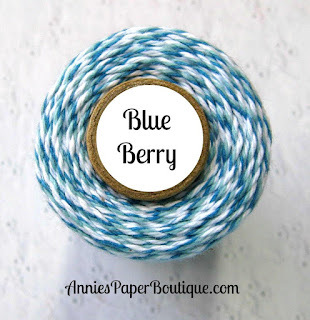 The Blue Berry Sequins and Blue Berry Trendy Twine were perfect for a winter themed card. 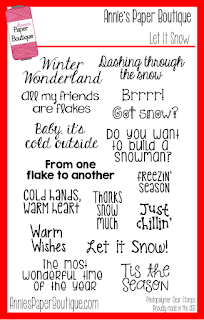 The snowflakes were cut using my Cricut. 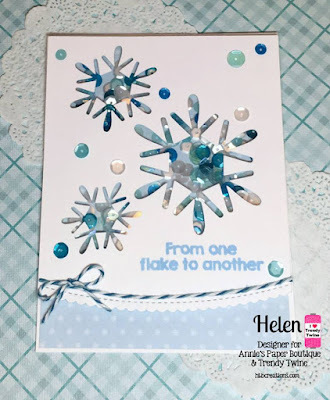 I picked out one snowflake and arranged it in different sizes on the card front. I used foam tape cut in small strips to section off the snowflakes. I poured sequins in each snowflake and carefully turned it over to keep them in the right place. 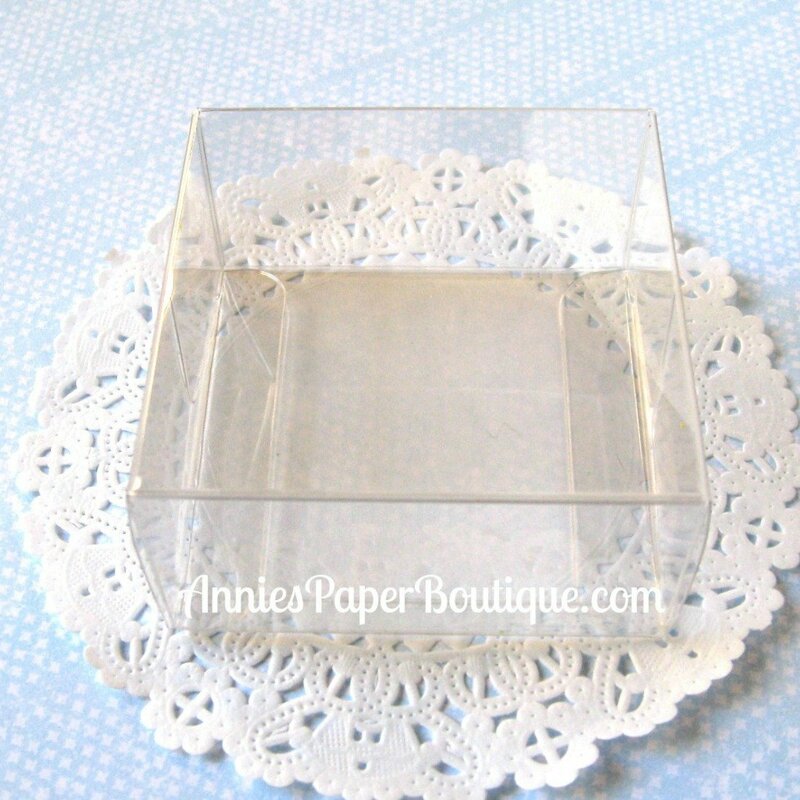 The front also was cut with a border die so you could see the pattern paper on the bottom. 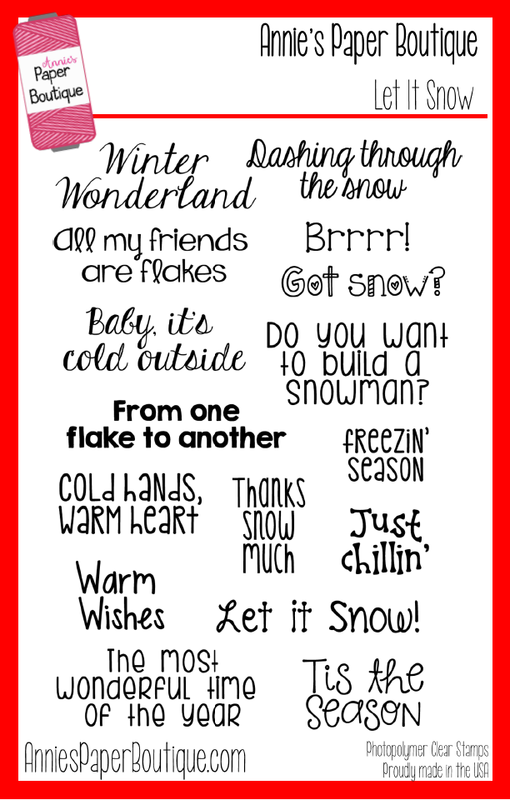 The stamp is from the Let It Snow Christmas Stamp Set. It was perfect for this card. Then I added my Twine and some extra sequins to finish it off. Hello everyone! I'm posting over at Twine It Up! 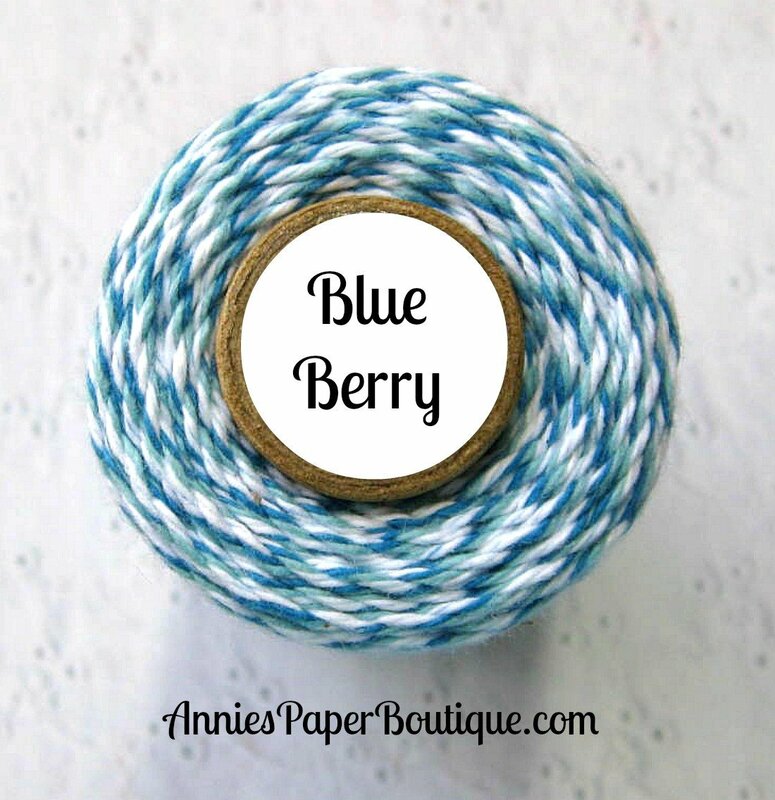 with Trendy Twine today. It's finally a bit cooler here in Georgia and it's almost Halloween! What a fun time of year. Today, I made a shaker card using my Lime Licorice Trendy Twine along with the Lime Licorice Batty Sequins and the Happy Halloween Stamp set. 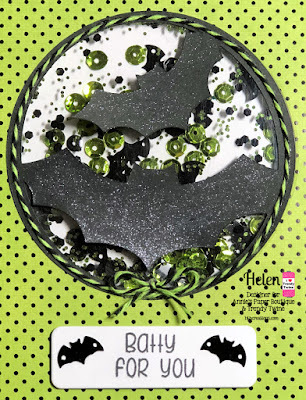 I glued my Lime Licorice Trendy Twine around the outside of the circle, added a bow and sparkled up the bats. Then I found a small tag die to stamp my sentiment on from Happy Halloween. 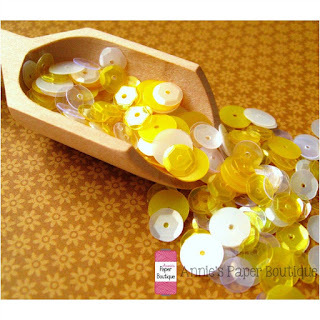 I used the Lime Licorice Batty Sequins for my shaker mix along with some small and bigger glitter to match the sequins. And I added two bats to the front label which I did use small pop dots on. 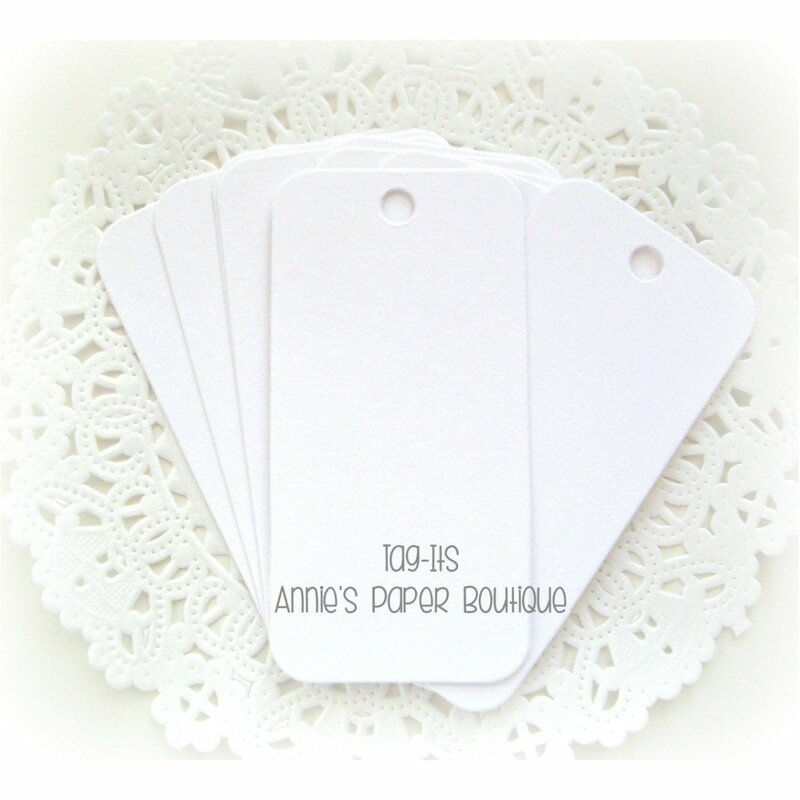 You still have time to shop for Halloween goodies at Annie's Paper Boutique. Be sure to stop by and shop! I used MFT Stitched Oval and Up in the Air stamps and dies. Here is my World Card Making Day card number 2. I was hoping to have more made by now but I had run an errand. 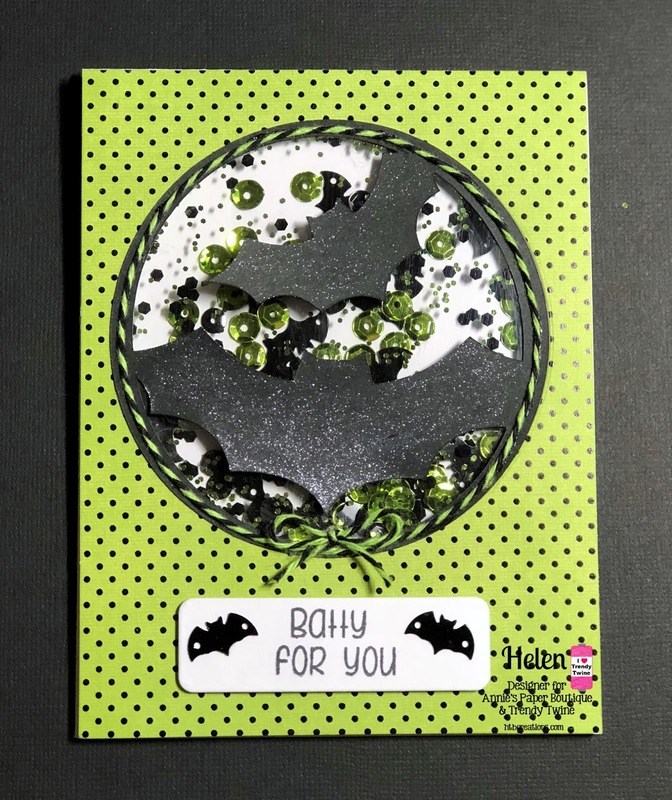 And this card is also being entered in the Joy Clair CAS Card Challenge. I used MFT Blueprints #12 and #13 and the Thanks and Hello Die Set. 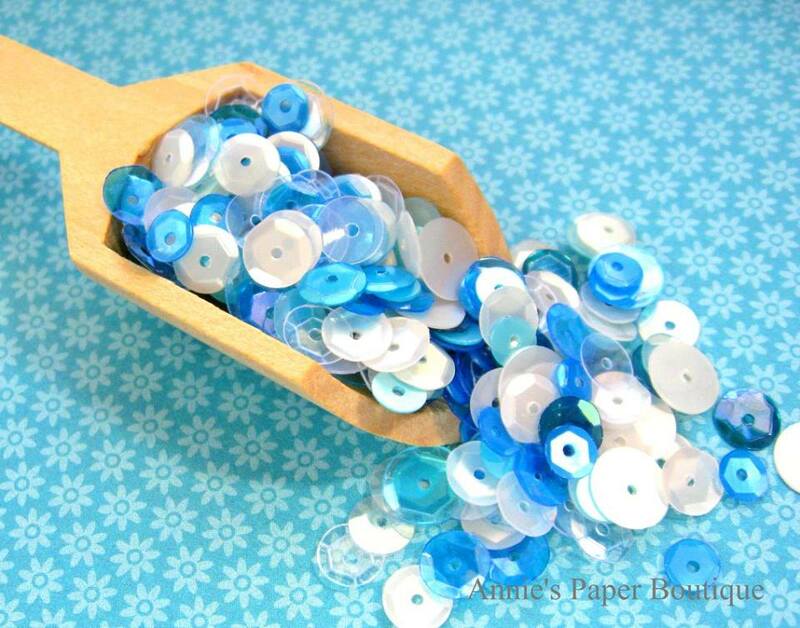 The paper is Doodlebug Hello Spring. 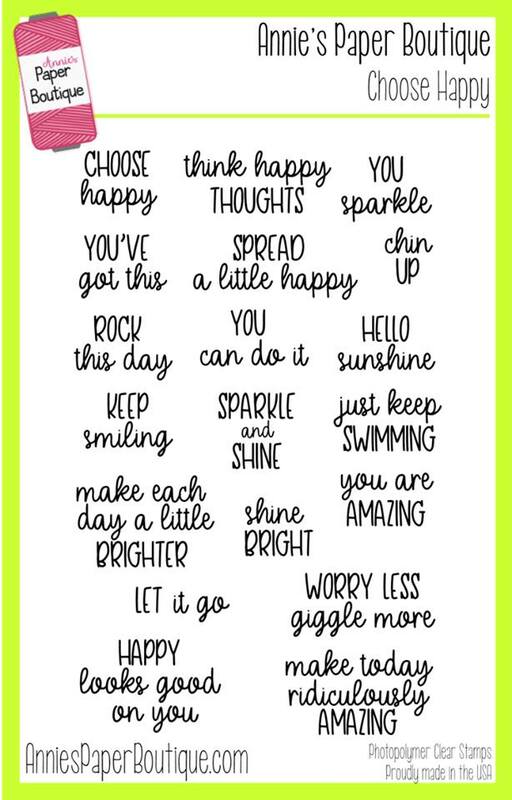 Hello everyone welcome to the Choose Happy Stamp Release! 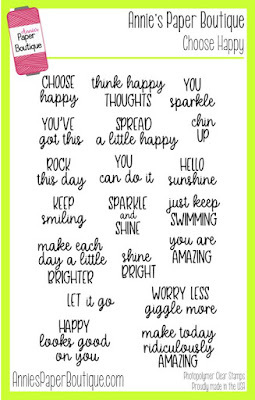 This is such a great new stamp set and it is so true--we need to choose happy some days. 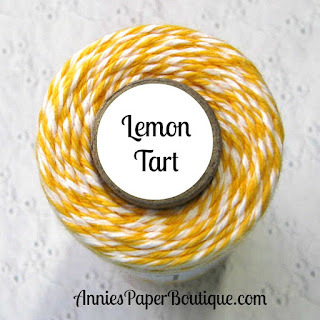 I made a sunshine card and treat using two sentiments from Choose Happy. 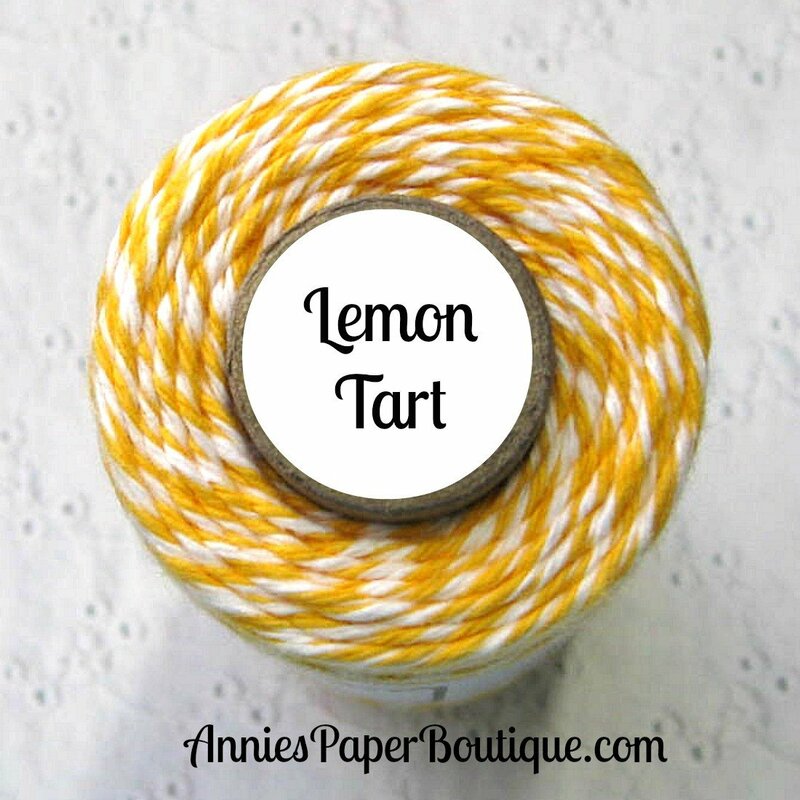 In addition to the new stamps, I used Lemon Tart Trendy Twine, Lemon Tart Sequin Mix, a Clear Chocolate Box, and a White Tag-It. I used an edge die to cut out the border, then I stamped my sentiment, added my die cut, and glued down my twine and sequins. For the box, I wrapped some of the polka dot paper around and tied my twine the other direction. I slipped the tag in and pop dotted my sun on to hold it down.